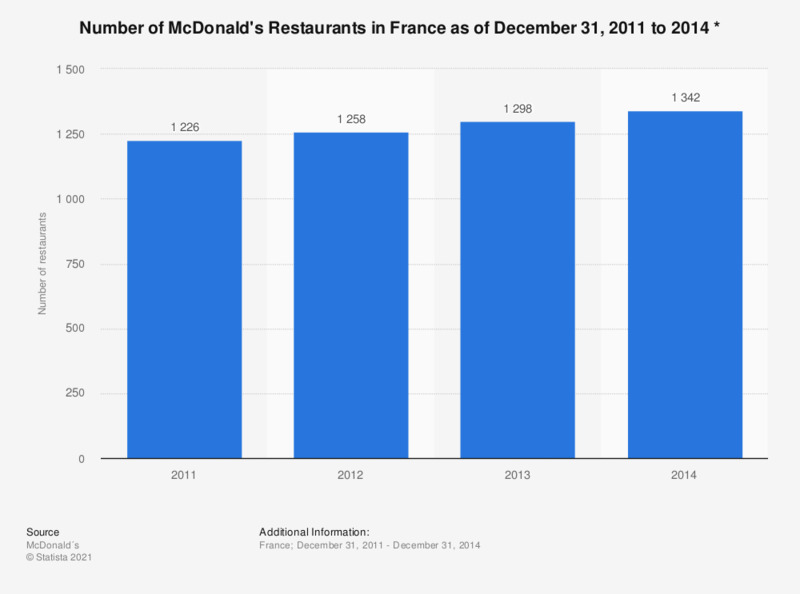 Here is a statistics on the number of McDonald's restaurants in France as of December 31, 2011 to 2014. In 2014, there were 1,342 McDonald's restaurants in France, about 100 more than in 2011. Figures for years prior to 2013 appear in a previously published report by the source.